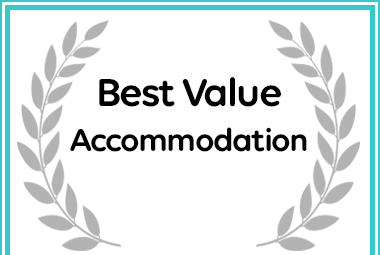 Stanford Hills Cottages The Homestead (Manor House) has received a Best Value Award for Accommodation in Stanford. The original old farmhouse at Stanford Hills is steeped in history. 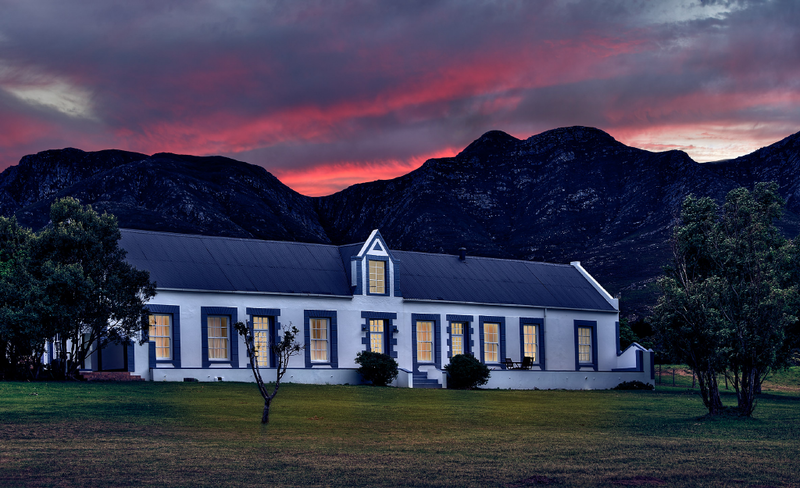 It is believed to have been built by Philippus de Bruyn, the founder of the village Stanford, shortly after he obtained the farm in 1855. During the 1890’s the house became a school for girls, under the leadership of Mrs Christina Morton. It has since changed hands a number of times, until 2005 when it was purchased by the Kastner family. Ideal for two families or groups of friends, the farmhouse sleeps eleven in total. It has a wonderful outside area with barbeque facilities and a private swimming pool. The East wing of the house comprises of two bedrooms and one bathroom. The upstairs bedroom of this area has a queen size bed, and a small balcony with a magnificent view over the dam and the Stanford valley. Downstairs is a bathroom with a bath, shower and bidet. There are two single beds in the second bedroom which also has its own access to outside. A large lounge with fireplace and a door leading to the front stoep divides the two living areas of the main house. Comfortably furnished with leather couches, complete with flat screen television and full DSTV. There is a well-stocked bookshelf with books to suit any taste for guests to enjoy. If you take one, we only request that you leave a book in its place. The West wing of the house also has two bedrooms, one with a queen bed and one with one single and a bunk bed. These bedrooms share the en-suite bathroom of the main bedroom. The main bedroom has a door with its’ own access onto the front stoep. The bathroom has a bath, shower and bidet. The large farmhouse kitchen and dining area is fully equipped and opens onto the outside seating area. There is a gas stove, electric oven, microwave, dishwasher and washing machine. Housekeeping can be arranged. Child care can also be arranged in advance. The house is completely self-catering. Towels and linen are changed every fourth day of stay. From R2250 to R5200 per night depending on time of year and length of stay. Enquire directly on 028 341 0841 for mid-week and last minute specials.